The PTO is sponsoring a dance on Saturday, February 9th from 4-7p. The PTO is sponsoring a dance on Saturday, February 9th from 4-7p. 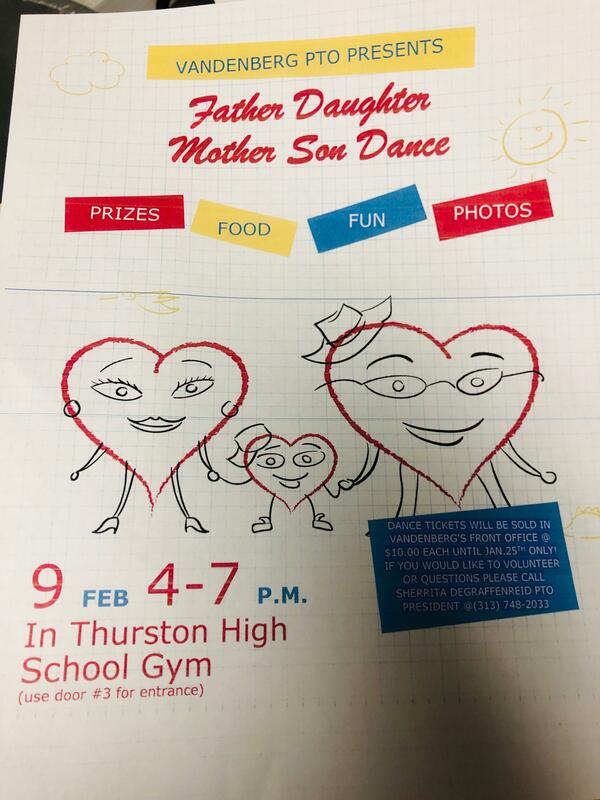 Cost in $10 per ticket and will be held at Thurston High School. Please enter door 3.